SA's feel good breakfast show! South Africa's feel good breakfast show! Weekdays from 6:00am to 9am Expresso broadcasts LIVE from a penthouse apartment in Sea Point, which has panoramic views of Table Mountain and the ocean. This context allows the cameras and presenters to move fluidly from place to place, avoiding the typical studio format, ensuring energetic performances and optimum attention. 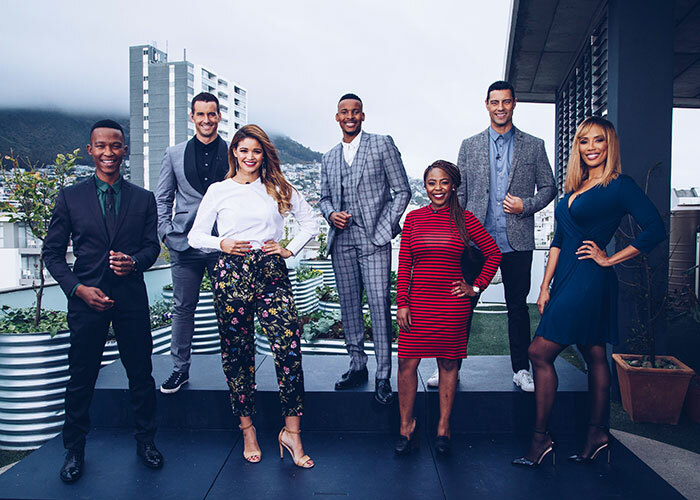 Our presenters Katlego Maboe, Ewan Strydom, Zoe Brown, Graeme Richards, Leigh-Anne Williams and Thabiso Makhubela steer the show through a myriad of fun, informative and interactive segments, also covered by our roaming field presenter Mosa Kaiser. Expresso showcases lifestyle entertainment includes kids' entertainment and green awareness, on-trend fashion and beauty advice, comedy, interviews with celebrities, live gigs from SA's top bands, and the latest from the worlds of astronomy, gaming and gadgets. Doctors, opinionated journalists, chefs, sport fanatics, stylists and "techies" form our expert presenter pool. Their informative and witty conversation allow a casual atmosphere and always are on the fun side. Expresso's content contains something for every age group and being in both English and Afrikaans, it ensures that more people can enjoy what the show has to offer.